this path of creating and customizing the world around me. Unlimited and connected us with so many talented people from all around the world. 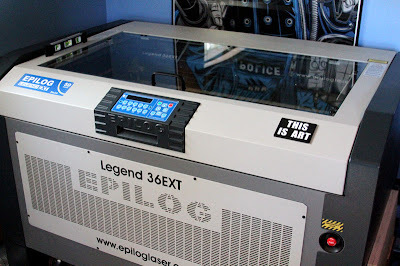 Inventables: Tell us about some of the more interesting clients of Etchd Unlimited. designers to create their own line of laser etched denim, custom sneakers, and jewelry. types of paper, cardstock, and cardboard to create product packaging and structural graphics. see the industry going in the next 5-10 years? others bring their vision to life.